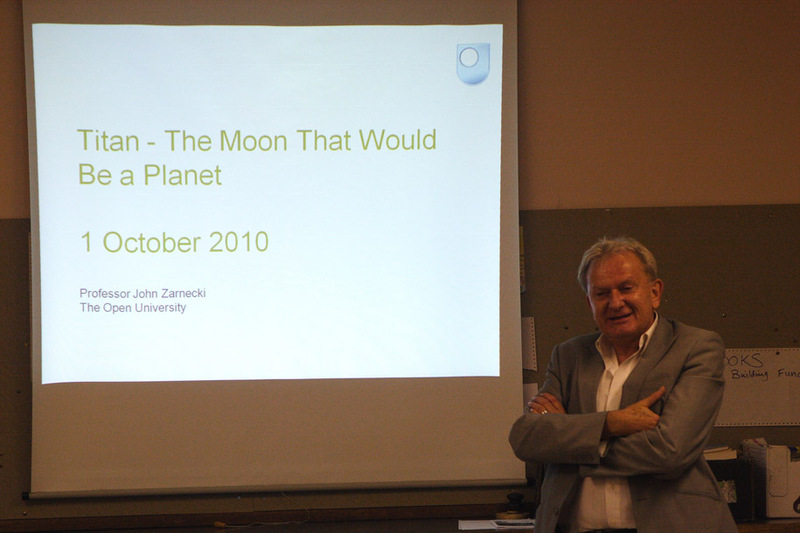 On the 1st October 2010 the DDAS was treated to a talk by Professor John Zarnecki on Titan - The Moon That Would Be a Planet. 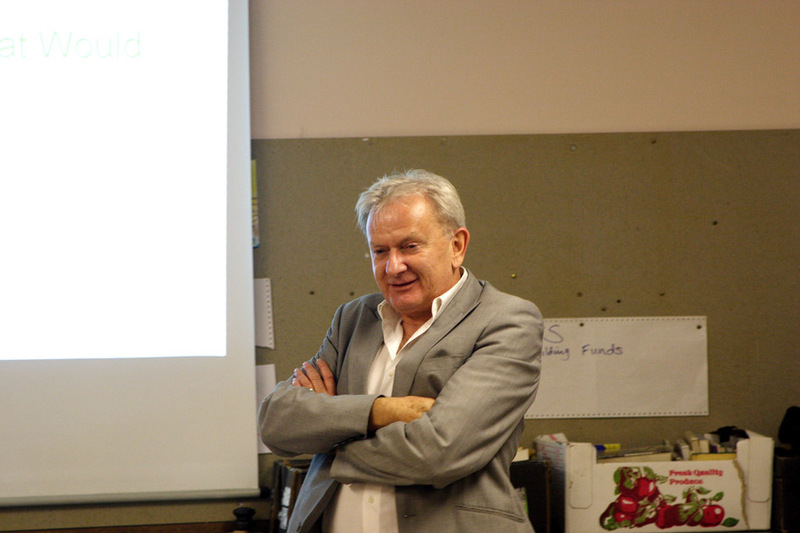 John is Professor of Space Science at the Open University and has over 30 years of experience in space research. He has been involved with some of the highest profile space missions over this period including the Hubble Space Telescope, the Giotto mission to Halley’s Comet, the Beagle 2 mission to Mars, and Cassini-Huygens to the Saturnian system and Titan. He is a Vice-President of the Royal Astronomical Society, and sits on several national and international committees, including the UK Space Leadership Council. John was Principal Investigator and head of the team at the University of Kent that built the surface science package on the Huygens lander. His talk covered the amazing results returned by both the Huygens lander and the Cassini probe, and was followed by a lively question and answer session. The following pictures were taken at the talk by Chris Newsome.